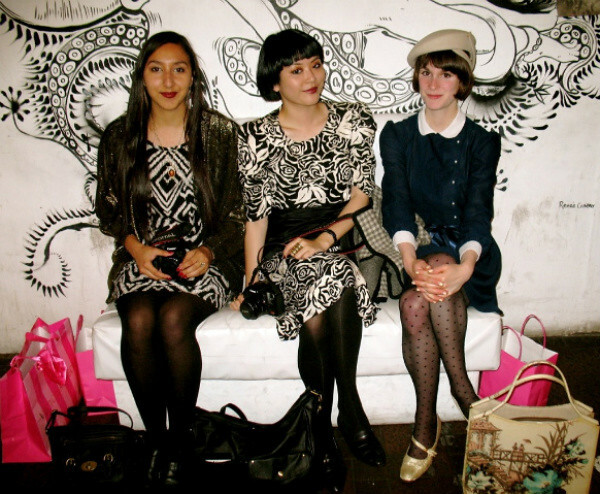 I went to this Designers and Artists-All Things Vintage event a few backs ago with Avalonne, who you know from the girl from hk, ldn & sf, and her friend Carolina. The photograph above is of the pair of pants I picked up at the event for only $15! I couldn't believe my eyes when I realized they were actually pants and not a maxi skirt. There was no hesitation in that purchase. I had such a wonderful time at the event and with those two ladies! My life has become so hectic suddenly between this move and work. My work schedule next week consists of two store meetings (one for merchandisers and one for the overall store) then a store overnight, which usually has me working until 5-6 in the morning. Luckily I plan on taking my last week in San Francisco off from work before being transfered to the downtown Seattle location. Needless to say, I'm starting to feel more and more overwhelmed with each passing day. I love the top and pants! And very cute kitten pictures! Gorgeous pants! 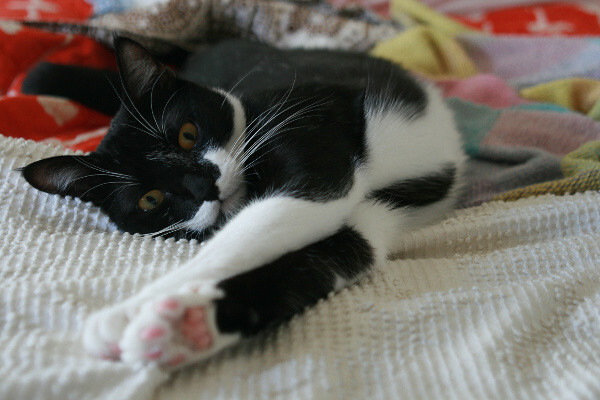 And that last picture of your kitty-cat is just so cute. 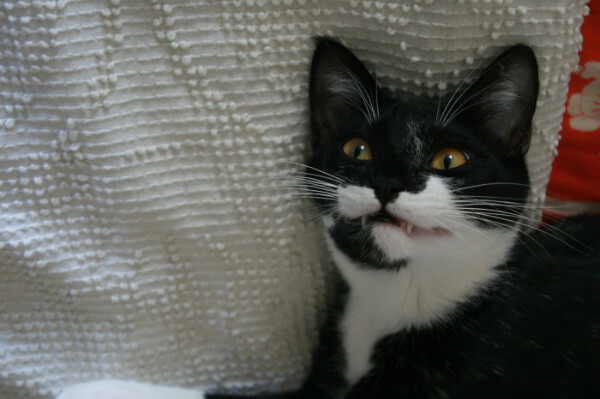 I love his wee fangs poking out. what a great pants is that?? tks for leave comment in my blog, really appreciate it. i'm such a follower now, hope you can follow me back. I adore your high waisted pants! 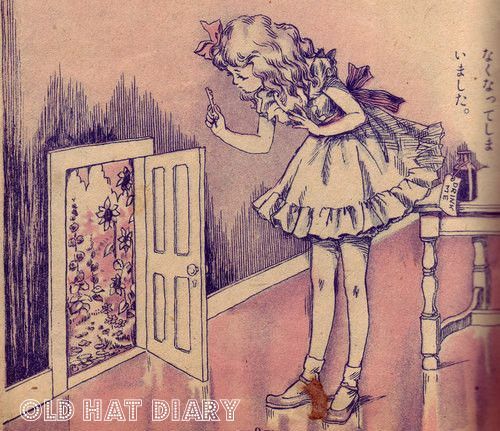 Thought is the Blossom said if I wanted that cool cloche hat to be following your blog. You are definitely zinging with style. That shirt is the most adorable things I've seen! I love it! 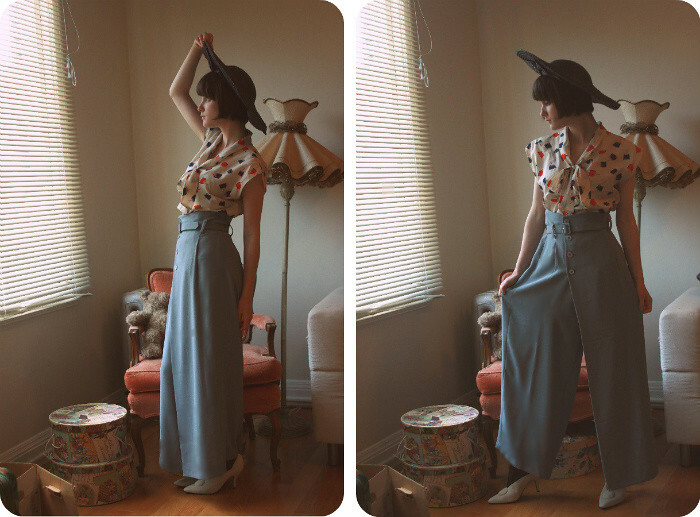 i like how you mixed the black hat with those high waisted pants. it's completely unique and adorable. Those are the most beautiful pants I have ever seen! The hat and top look great with them, too. ohmygoodness! you've got a gem of a blog! LOVE it! and your style is amazing! those trousers are so perfect, one of those finds that are just magical! I am in love with those pants, you lucky gal. I wish there were great events like that one in my area. Also, thanks so much for following my blog! omg those pants are incredible!